Summary Malmö Stadsfastigheter is owned by the municipality of Malmö and they manage the public buildings in the municipality. They have taken a high interest of solar energy and initiated several PV projects. 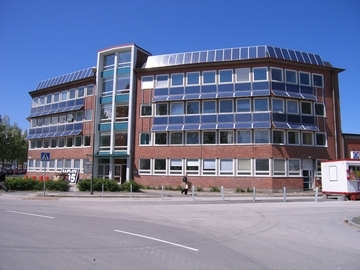 This is one of the first projects that was initiated as a result of the Swedish support programm for PV's on public buildings. The PV modules are mounted on the façade and as fixed sunscreens over the windows.